We offer our guests free Verified Wi-Fi, a free airport shuttle, an onsite fitness facility and a guest coin laundry facility. 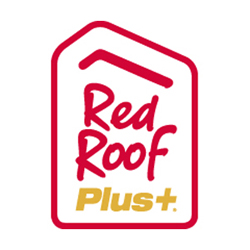 Red Roof PLUS+ & Suites College Park is one of the best 100% smoke-free budget hotels in College Park, GA thats right off of I-85 and I-285. We are close to the flights out of Hartsfield-Jackson Atlanta International Airport (ATL) as well as Mercedes-Benz Stadium, Centennial Olympic Park, Zoo Atlanta, the Georgia Aquarium, the Delta Flight Museum, Martin Luther King Jr. National Historical Park, CNN Studio Tours, the Georgia International Convention Center, Wolf Creek Amphitheater and the Hapeville Depot Museum and Visitor Center. We offer our guests free Verified Wi-Fi, a free airport shuttle, an onsite fitness facility and a guest coin laundry facility. Upgrade to one of our Premium rooms where we will have a snack ready for you in your room! Red Roof PLUS+ & Suites Atlanta Airport South is a pet-friendly hotel.